Is there any way can help me transfer Spotify playlist to Google Play Music? I want to change the music streaming service, but don’t want to give up my old playlists, I have spent many time on them, any other way? Google Play Music, a music streaming service and online music locker operated by Google, is currently available in 63 countries for Android and iOS devices, web browsers, and various media players (such as Sonos and Chromecast). Some Spotify users would like to switch to it, but may meet the same question above that they fail to take their playlists with them due to the DRM restriction. Don’t worry; here we will introduce a brilliant tool to help you remove DRM from Spotify music and make a detailed tutorial to guide you how to move all of your Spotify playlists to Google Play Music. 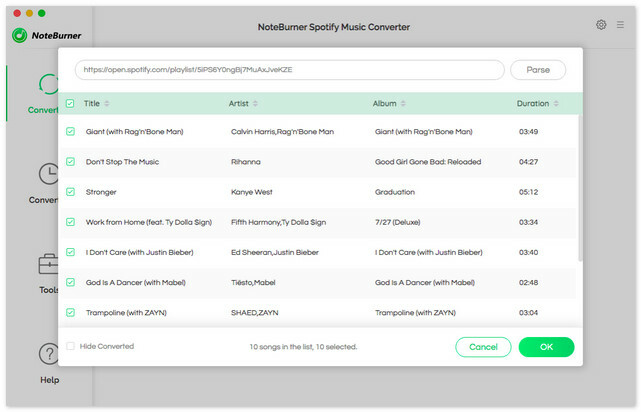 NoteBurner Spotify Music Converter is a powerful Spotify Music converter, which can easily remove DRM from Spotify music, and convert all your Spotify music and playlists to plain MP3, AAC, FLAC or WAV with keeping 100% original quality of Spotify music. The following is a detailed tutorial about how to remove DRM from Spotify music and import your Spotify playlist to Google Play Music. 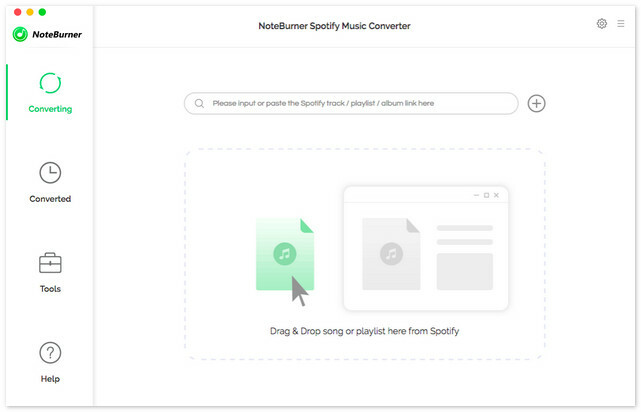 Please download and then install the latest version of NoteBurner Spotify Music Converter. 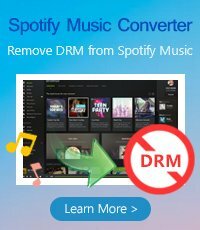 After installing, click to launch this powerful DRM Spotify music removal tool. Launch NoteBurner Music converter for Mac and Spotify application would be opened automatically with it. Click "+" button on the top-left interface, and then drag or drop the audios you would like to convert from Spotify to NoteBurner Spotify Music Converter, and click "OK". Click the setting button on the top-right interface to set output format, output quality, conversion speed and output path. You can convert Spotify music to MP3, AAC, FLAC or WAV with high quality (320 kbps is available to choose). 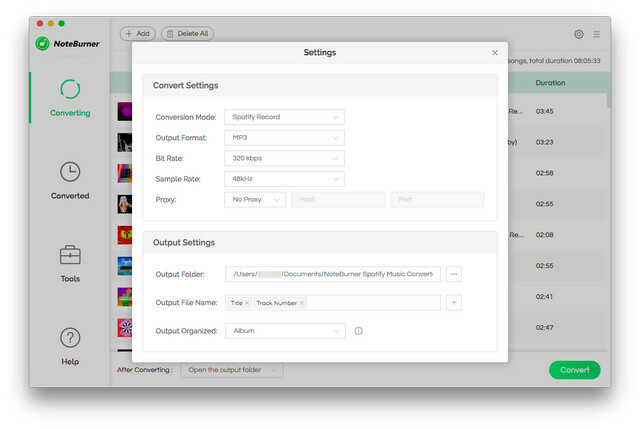 After the above setting, click "CONVERT" button to start converting Spotify music. After converting, the output folder will be open automatically. Or you can click the History button on the top-right interface to find the converted music. The converted Spotify music are DRM free, you can transfer them freely to Google Play Music for streaming. Step 1: Please go to the website play.google.com/music to start. 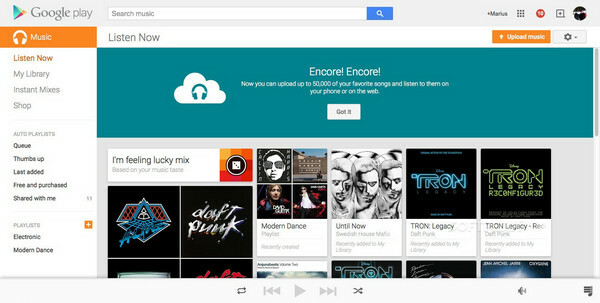 And then, login to your Google account, and click “Upload Music” in the upper right-hand corner of the screen. 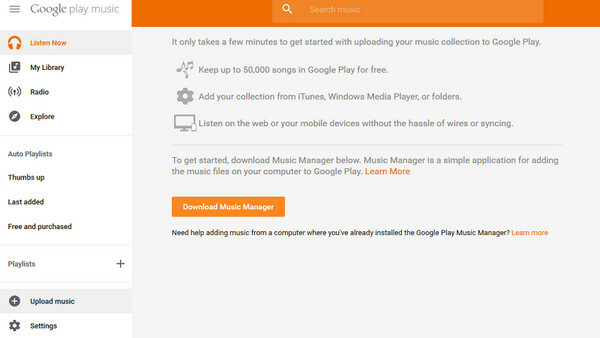 Step 2: On the next page, click the orange “Download Music Manager” button. 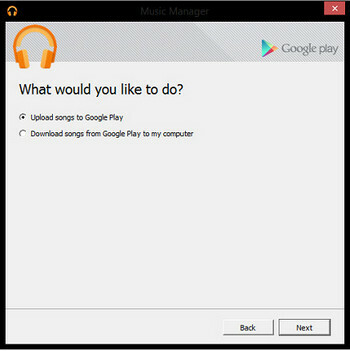 Follow the installation instructions to get the music manager on your computer. Step 3: When you're logged into the Music Manger select "Upload songs to Google Play" and hit "Next". 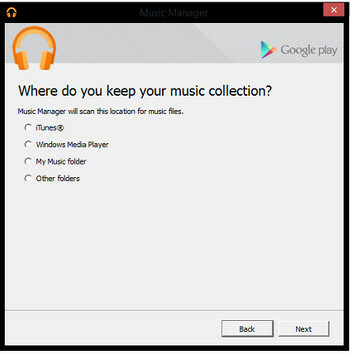 Step 4: The Music Manager will ask you where you keep your music collection. Select "Other Folder" and click “Next”. Then, please locate your the folder your stored your converted Spotify playlists from the popup window and follow the instruction. 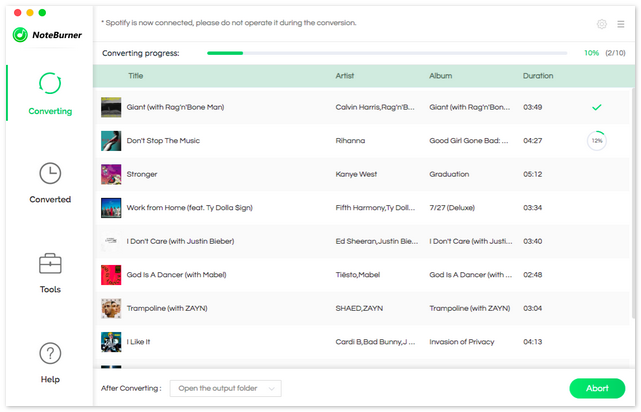 The Music Manager will automatically upload any songs you put inside that folder Google Play. Note: The free trial version of NoteBurner Spotify Music Converter Mac only enables you to convert the first 3 minutes of each songs, and Windows only enbales you to convert 10 tracks. You can buy the full version to unlock this limitation.